Hi, I am renting an RV in October and traveling from Colorado to Moab and surrounding areas. 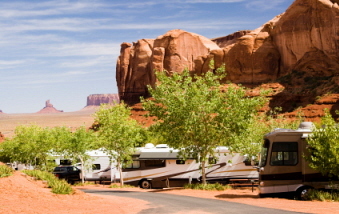 I have never rented an RV and and was wondering if I have to use a designated RV park or camping spot. I really just want to drive and explore without a specific schedule. What are the rules? Can I drive along HWY 191 and park off the beaten path? I will probably stay at an RV campsite one night and hook up but I am a tent camper and used to not having running water, etc. I hope my answer is still timely. Some of what you're referring to is "boondocking". I am not an expert ... or even an amateur ... RV driver or boondocker.